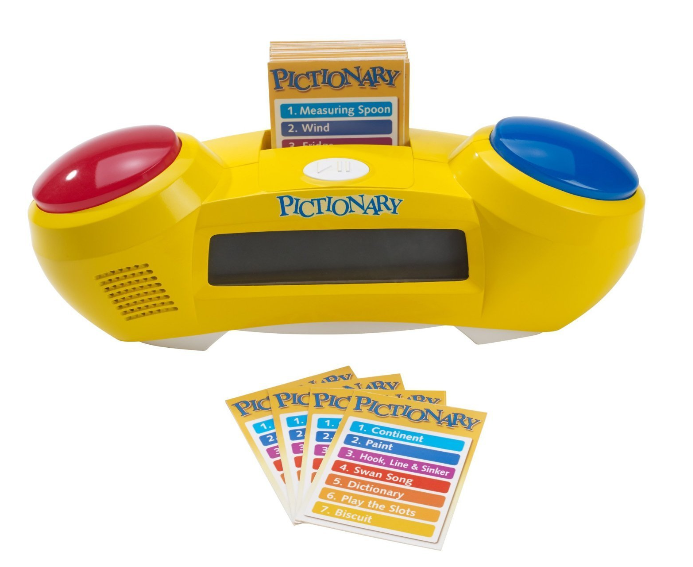 Pictionary Showdown Game Only $16.21 + FREE Prime Shipping (Reg. $35)! You are here: Home / Great Deals / Amazon Deals / Pictionary Showdown Game Only $16.21 + FREE Prime Shipping (Reg. $35)! Need a new game for family night? Grab this awesome deal on this fun Pictionary Showdown, priced at only $16.21 (Reg. $35) right now! This is even slotted to arrive before Christmas!! Plus, FREE Shipping is available with Amazon Prime or FREE with orders of $35 or more (sign up for a FREE 1 month trial here)!